It’s been more than a year in the making, this fundraising challenge to reach $60 million for the Lead the Way campaign in support of late Chancellor David Belcher’s pledge for more student scholarships. Did we make it? Find out May 2 during the ‘big reveal’ at a community celebration in the Ramsey Center. Thanks to the ongoing generosity of a husband and wife who divide their time between Highlands in the Western North Carolina mountains and Hilton Head Island in the South Carolina Lowcountry, Western Carolina University is one step closer toward its goal of being able to provide scholarship assistance to every Honors College student with financial need. Make that 1 million steps closer. It took a childhood spent in the outdoors for former competitive wakeboarder Lauren Bryson to appreciate the world of technology as a Western Carolina University student, and as a result, become the first recipient of the Hopkins and Ray Engineering and Technology Scholarship. To support their love of engineering and education, Jeff and Tina Ray created the Hopkins and Ray Engineering and Technology Endowed Scholarship to support students in WCU’s College of Engineering and Technology, for which Jeff Ray serves as dean. 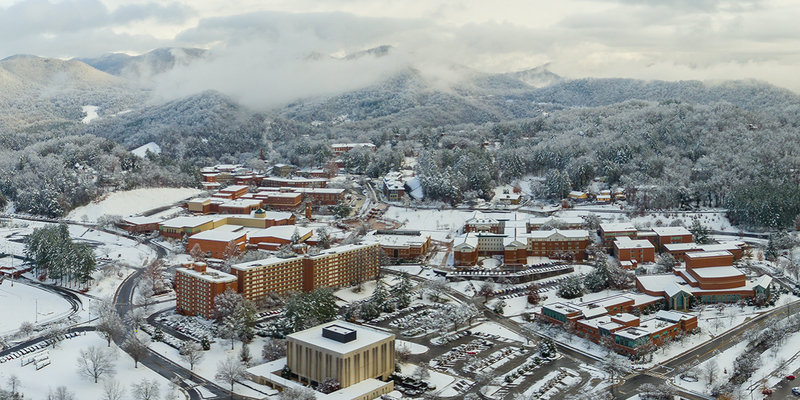 Western Carolina University’s “Lead the Way” comprehensive fundraising campaign climbed ever closer to hitting its goal of $60 million as a surge of year-end giving pushed the total raised to date to $58.7 million. Among the recent contributions to the campaign is an anonymous estate gift of $1 million to go toward student scholarships, which is the top priority of “Lead the Way: A Campaign Inspired by the Belcher Years.” The campaign is scheduled to come to a close this spring.